Product prices and availability are accurate as of 2019-04-20 11:56:57 CDT and are subject to change. Any price and availability information displayed on http://www.amazon.com/ at the time of purchase will apply to the purchase of this product. 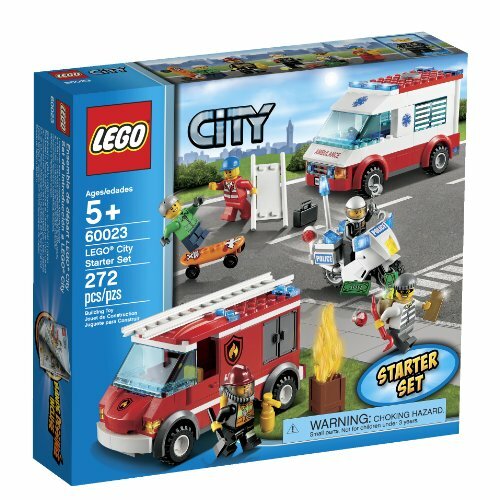 Enter a world of building fun with the LEGO® City Starter Set featuring 3 iconic vehicles. Catch the robber with the policeman on his motorcycle! Put out the fire with the fireman's speedy fire truck. Then race to help the fallen skater boy in the ambulance. 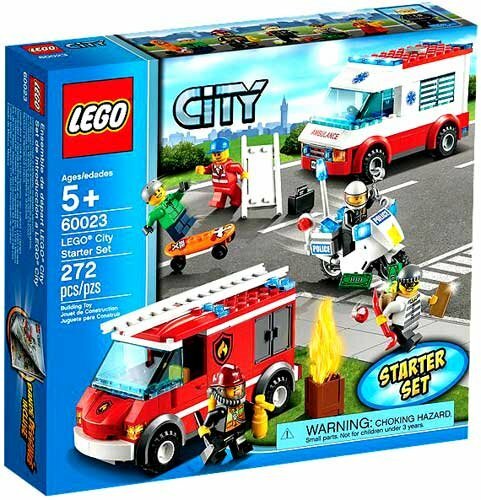 Create endless play possibilities with all the inspiration a young builder needs to explore fun ways of saving the day! 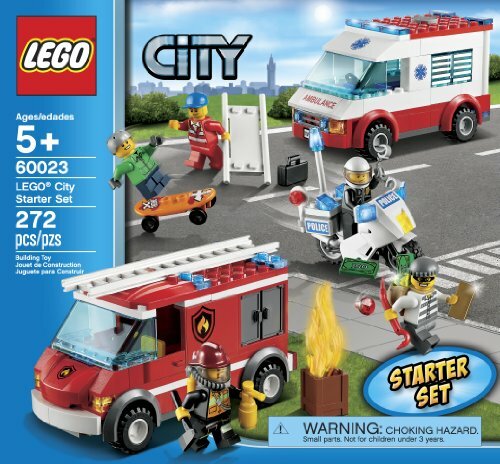 Includes 5 minifigures with accessories: robber, policeman, fireman, rescuer and a skater boy. 272 pcs. Ages 5 yrs. +.